Happy One Year to The Onyx Plate! Masterchef…say whaaaaaaaaaat??? November 13, 2010, began my journey. A few months before that date, I had found myself needing something more, not feeling that passion I once had in life. I discovered something that I was pretty decent at over the next few months, and it lit a spark in my mind and heart. This was what I wanted to do. I mean goodness, I already loved food…that was obvious. *smiles* It was more than writing on a food blog for the world to see. It was me growing. The spark I had been needing finally appeared. Through this last year, I have set goals for my blog and myself, and met them. I have also learned to be proud of myself and those accomplishments. The stats may not be too impressive to some of you bigger bloggers out there…but, I’d take my close to 20,000 views in one year as a great accomplishment. What could possibly be next, you ask??? Yes, by the time you are reading this, I would have already auditioned for the show. I also am already home most likely. Oh! Did I mention the awe-inspiring Chef Gordon Ramsay will be at this open call??? A) I have either fainted and spilled my Banana Pudding all over Chef Ramsay when I saw him…..
B) Flew through with flying colors, and am on to the next round…..
C) Had my heart broken, but bounced back rather quickly because I know that I did my best….or…. D) I hit the lottery on a lottery ticket we’re going to buy on the way up there at every gas station we stop at. Where is your journey taking you today? What I presented at the MasterChef Open Call....Grandma's Banana Pudding with homemade Vanilla Wafers. Next Post So here is how it all went down….in D.C. I am so proud of you for living your dreams. It has been a wonderful year of great food, revealed secrets, Foo Fighter lust, friends sharing, and good conversation. Stepping out of your comfort zone – that warm, safe place – and seeing what the world is holding for you, is an admirable action. I love you and I am so proud of you. Here’s to another great year full of possibilities! Amazing post! What you have done (& accomplished) is what most people desire but are afraid to try (so they make themselves feel better by criticizing the ones who take risks). What you have accomplished in just one year is phenomenal & worthy of celebrating! Never give up and know you can do anything you set your mind to! Thank you for inspiring the rest of us! Awww, thank you so much, Kristi! I’m so glad you’ve been along the journey with me! Thank you! Happy that you decided to take the next step to your share your food recipes. I still say you need to do a cookbook. That could be the next step for you. Beautiful dessert. Happy one year anniversary! Mine is coming up in January and I’m excited to celebrate it. WoW! Jenny Congratulations! Your posts are always fun to read and you’ve accomplished a lot during your year. I can’t wait to see what’s next on your agenda. So, I’ve been out of the Onyx Plate loop and really need to catch up on the buffet here. WOW, I read the second entry first and was blown away by your good fortune and ability to cook something so wonderful as banana pudding, which is definitely one of the BEST desserts. 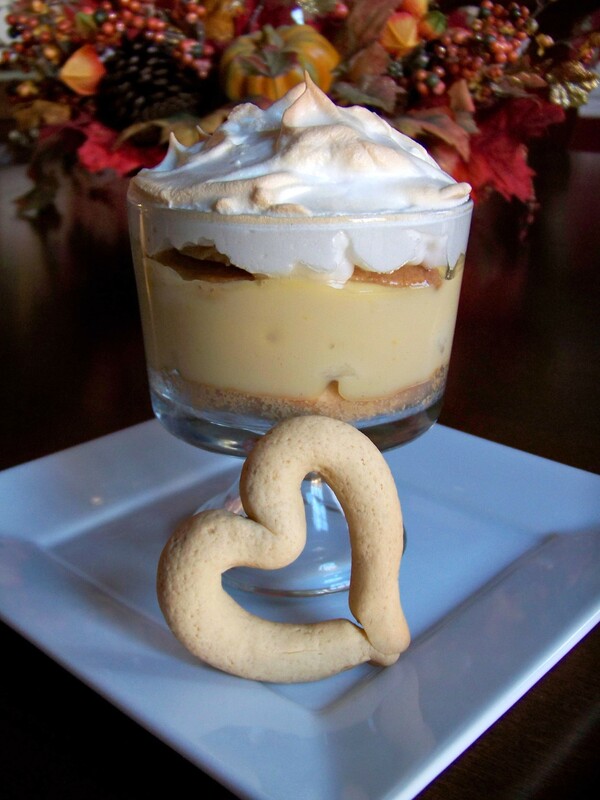 Do you have a good Banana Pudding recipe you guys use? I bet it’s phenomenal as well. Glad to have you back! I need to catch up on the Holy Poached Eggs world! Are you still posting every day? Well, if you try it again let me know how it comes out. It’s quite simple once you get the hang of it.